Ireland is no longer “over-shopped” and international investors have pumped €3bn into shopping centres to tap the upturn in consumer spending, according to a major report. 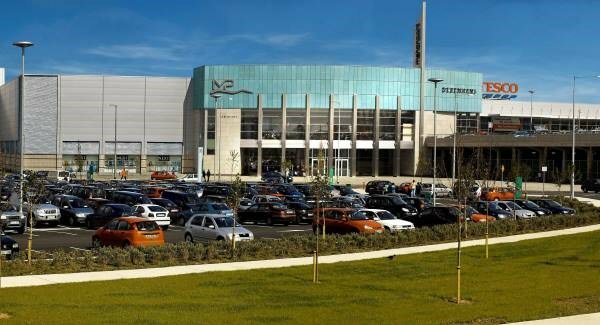 The 22-page Goodbody report, which is written for investors, focuses on the prospects of the country’s largest shopping centres, such as Dublin’s Dundrum Town Centre — the country’s largest — and Mahon, in Cork, ranked the eighth-largest. Those malls have the size to lure major international retailer tenants from Britain and the continent. It also predicts retail rents will climb 9% over the next two years, but only for the largest Irish shopping centres, which have returned world-beating, 16% returns for investors in the five years since the start of the economic recovery. That return outpaces those in Portugal, Spain, and the US as the next-largest investment winners, and the 7% return for investors in the UK over the same period. Investment returns have spurred the interest of private equity money, which is seeking to enter the real estate investment trust (Reit) arena to tap retail centres. Existing Dublin stockmarket-listed Reits in Ireland currently cover housing, office, and industrial areas. According to Goodbody, some €3bn has flowed into large shopping centres here in the last two years, and Hammerson — which is subject to a €5.5bn-plus takeover bid for rival shopping centre operator, Klepierre, of France — has been one of the main London-listed beneficiaries. Hammerson owns half of Dundrum and is also a substantial retail landlord across Ireland. It owns half shares in the Swords Pavillions, in the Ilac Centre in Dublin city centre, and controls the nearby 1916 battlefield site, as well as owning, outright, the Abbey Retail Park, in Belfast, and a significant minority stake in the Kildare Village. Joint report author, analyst, Colm Lauder, said the scale of the international investment flow dispels the thinking that Ireland remains “over-shopped”, a reference to the huge amount of retail space that opened during the boom years. However, little has been built since the crash and international investors have focused on the Dublin area. Despite rising property-site prices, investment yields for the largest shopping centres in Ireland still outstrip those in many other countries. Based on population and existing, available retail space, the study says that Ireland is “not significantly over-supplied”, though it does rank above the EU average. On footfall, seven of the top-10 Irish shopping centres are in Dublin, led by The Square Tallaght and Dundrum. Goodbody projects Irish shopping centres will rise 10% in value up to 2020, while prime market rents will rise 9%. “The Irish market has had a rollercoaster ride over the last decade,” says the report. “At the peak, in 2007, shopping centres in Ireland had prices amongst the highest globally, outpacing even London,” it says. During the cash, market values crashed 68% and rents were halved.